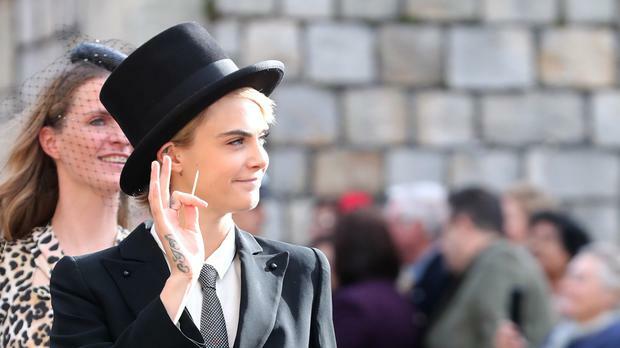 Cara Delevingne has never been one to follow the beat to anyone's drum but her own, which was evident for her choice of royal wedding guest attire last month. The supermodel-turned-actress (26) arrived with a gang of high society friends, in an Emporio Armani suit and tails, a top hat and made chewing on a toothpick seem not only acceptable, but enviously cool again. Her choice of ensemble was viewed by conservative royal watchers as a breach of protocol (guests are usually expected to wear modest length skirts or dresses and a fascinator), while others saw it as a breath of fresh air. And it turns out bride Princess Eugenie was the latter. 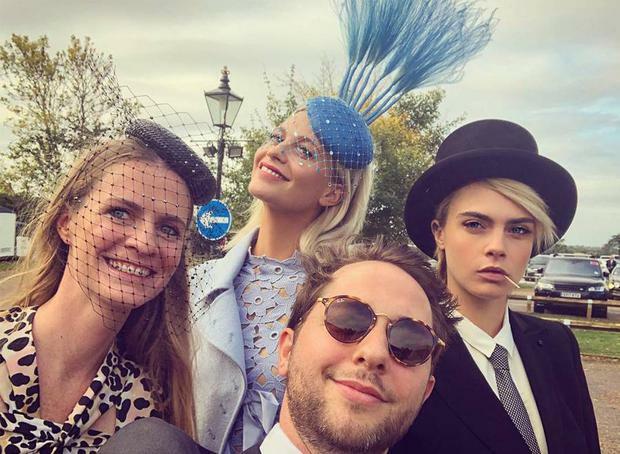 Cara said she texted her long-time friend to get her blessing on the outfit so as to not upset her in any way and the newlywed gave the idea two thumbs up. Her sister Poppy opted for something more traditional, yet equally daring, a floaty lace Oscar de la Renta midi dress and feathered Victoria Grant fascinator, the catch being that her choice of dress was completely sheer. Tuxedos are still seen as too liberal for royals' wardrobes, something Meghan Markle has apparently learned the hard way. Earlier this year, it was reported the Duchess of Sussex was "frustrated with some of the monarchy’s archaic traditions", which encourages traditional dresses for women and simple suits for men.